This Farm house is surrounded by 40 acres ha of Land and it construction remotes to the 16th century. The agriculture area has 35 acres kiwis plantation, two marvelous lagoons, a park with several and different variety of trees and beautiful gardens. The Farm house was rebuilt on the 1992 and reconverted to receive guests. All characteristics of the original main house were maintained and provide 6 bedrooms and other facilities .Outdoor the guests can enjoyed the Swimming pool, a games room and a children play area. 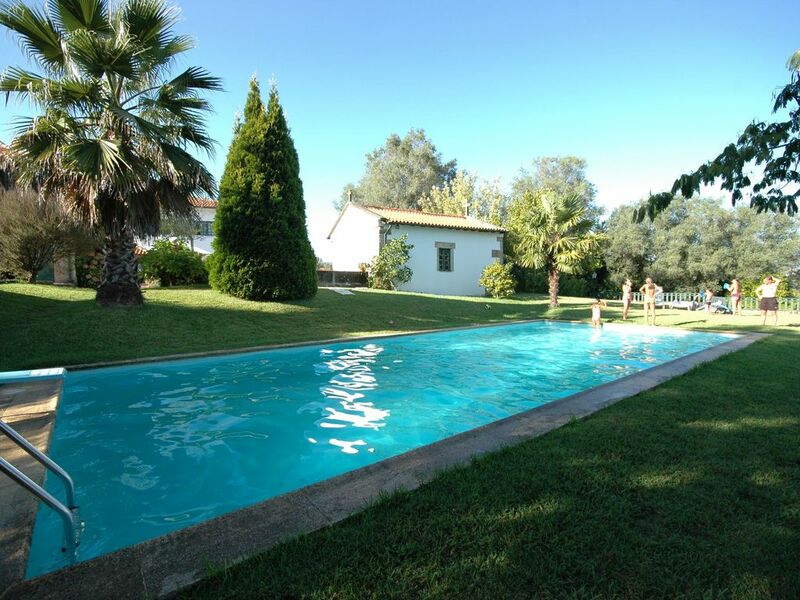 Thi villa is very well located in “Minho region” at short distance of Vila Verde (6km), the historic town of Braga (11km) and the National Park of Peneda Gerês (40km) or 45 km from the sea. It is a very beautiful spot to go for a sightseeing in the countryside or visiting monuments and even shopping in the nearest towns. This is also a good Place to enjoy good food and wines”vinho Verde”, as the restaurants in this area supplies the most exquisite and typical Portuguese Cuisine. First Floor: Sitting room (TV, DVD, CD), dining room, 6 bedrooms (5 doubles and 1 twin) all with en suite bathroom and accessed for a open veranda connected to the sitting room. Ground Floor: Kitchen (fridge, freezer, 4 gas rings, Oven, Microwave), washing machine. For larger parties? Within the courtyard, where the rooms are located, there is an additional cottage with 2 bedrooms for up to 4 extra persons.... details and prices on request. Très belle maison avec grande piscine fraîche, parfaite pour des vacances d'été en famille. Maison très bien située pour visiter le nord du Portugal. Commerces à proximité, très belle vue, jardin magnifique, hôtes sympathiques. Tennis et jeux appréciables pour les amateurs. Beaucoup de fêtes autour au mois d 'août : soyez prêts à entendre la musique portugaise et les feux d'artifice.